Welcome to Day #22 of Chocolate and Peru Theme Week. 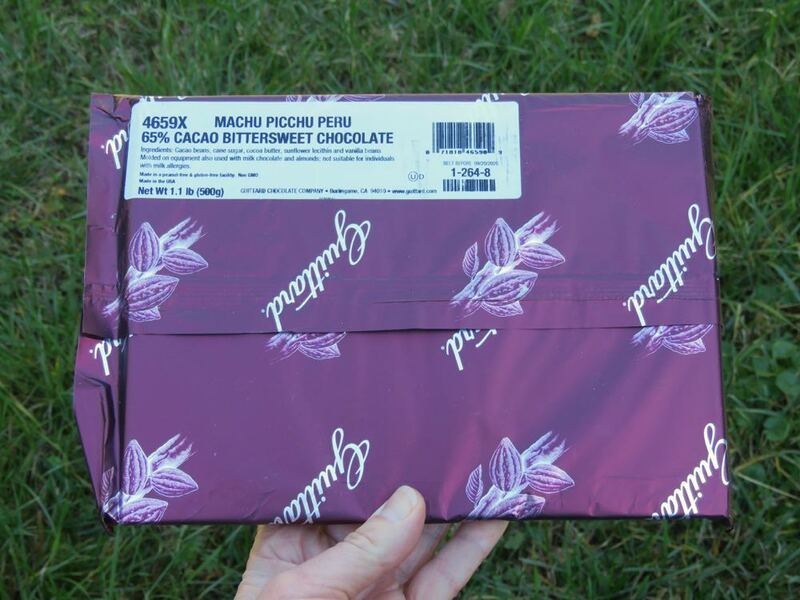 Today's jumbo-sized Machu Picchu Peru 65% Cacao Bittersweet bar was from Guittard Chocolate Company (Burlingame, CA). I was speaking with a chocolatier in Burlingame, CA, recently. And she remembers her father driving across town to Guittard to pick up the chocolate they needed to create their own chocolate confections. That was then...and Guittard has grown quite a bit since then. Still, every local chocolatier that uses Guittard chocolate that I've spoken to is very proud to tell you so. Guittard has been crafting chocolate in the San Francisco Bay Area since 1868, or 150 years ago. That's impressive. More remarkably, the company is still run by family members. (Gary Guittard is currently at the helm.) The company claims to be the "oldest, continuous family-owned and operated chocolate-making business in the United States." 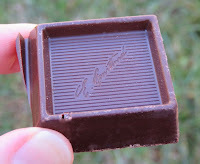 Today's giant bar was not meant for a single consumer, but rather was an example of the bulk and couverture chocolate that Guittard sells to other businesses. This 500-gram bar is more well-suited to a restaurant, catering company or bon bon maker. But we're willing to break off a tiny piece and take a nibble. This thick, substantial bar had a pleasing dark chocolate aroma and taste, with fruit notes, and a smooth dark cocoa finish.